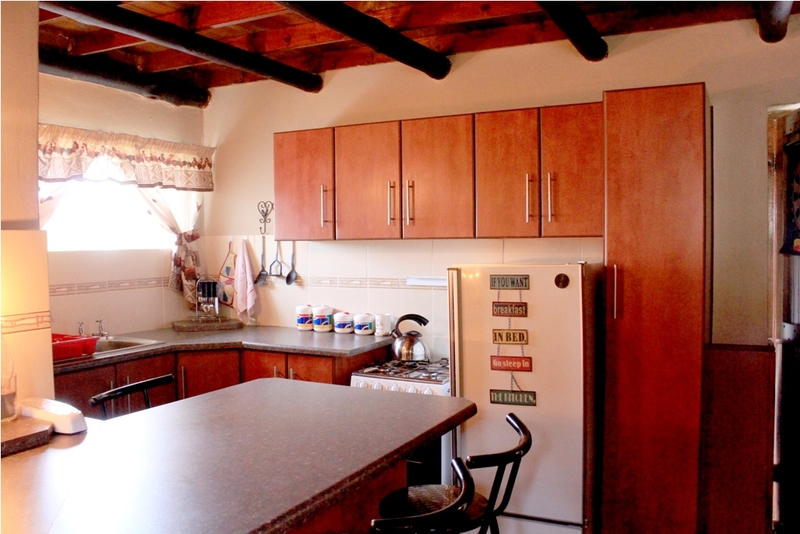 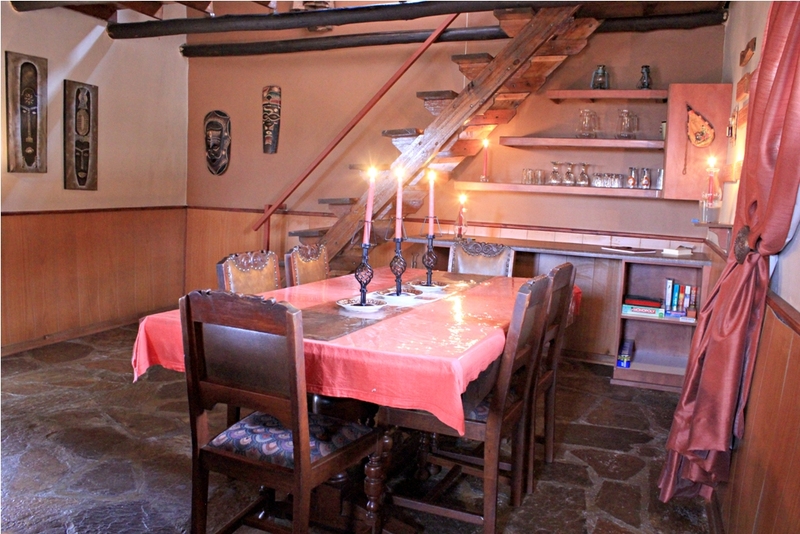 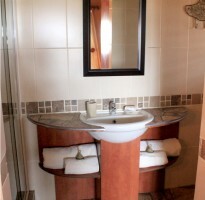 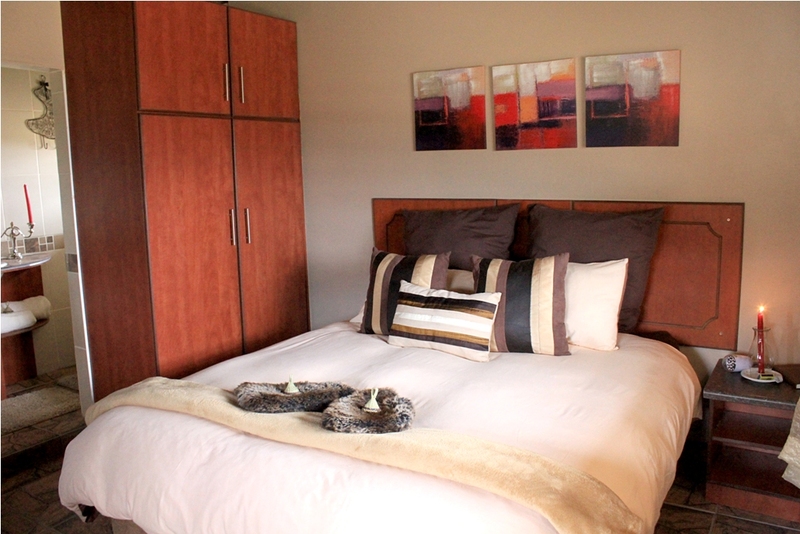 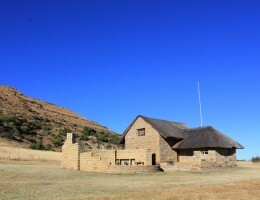 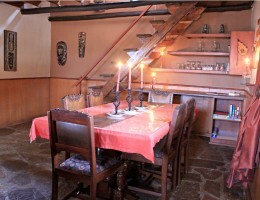 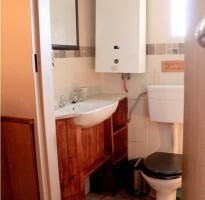 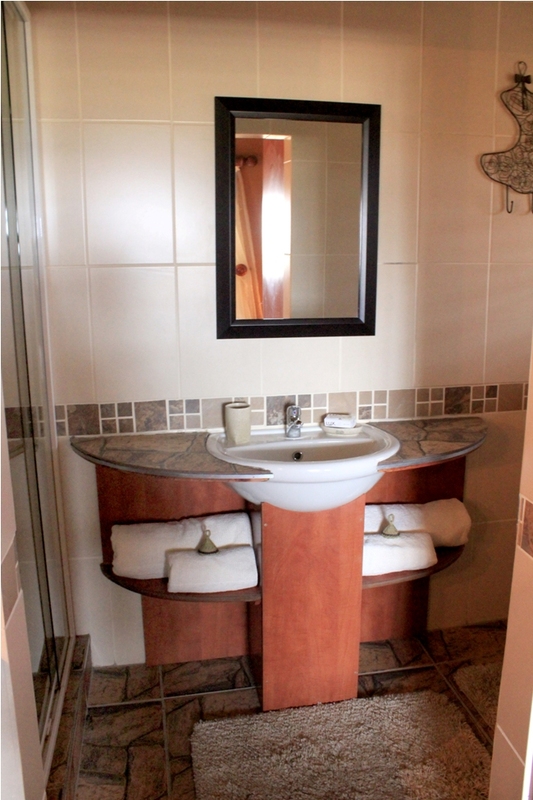 The mountain cottage accommodation sleeps 8 people and is fully equipped for self-catering. 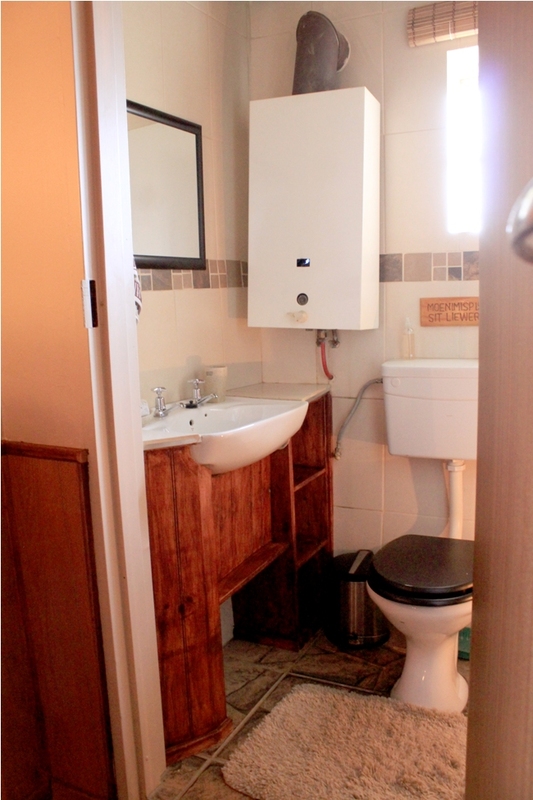 The duplex consists of an open plan living room and kitchen, as well as a bathroom with a shower on the ground floor and a big, spacious bedroom upstairs, with 2 double beds and 2 single beds. 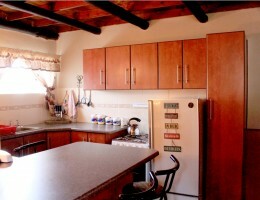 The kitchen has a gas stove and gas refrigerator with a small freezer. 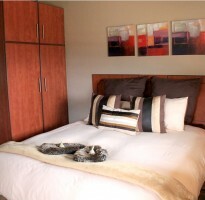 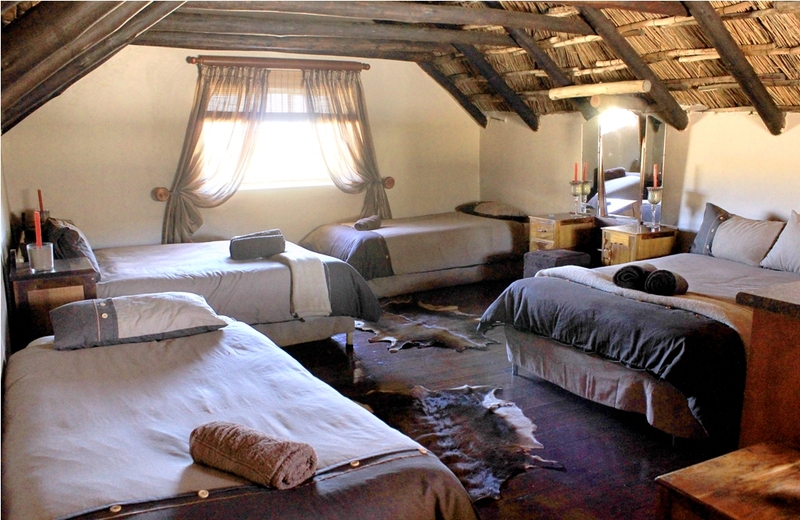 The main bedroom is separate from the rest of the house, with a queen sized bed and en-suite bathroom with a shower. 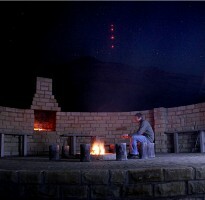 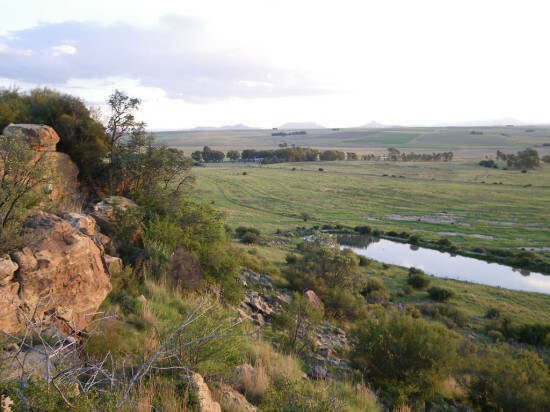 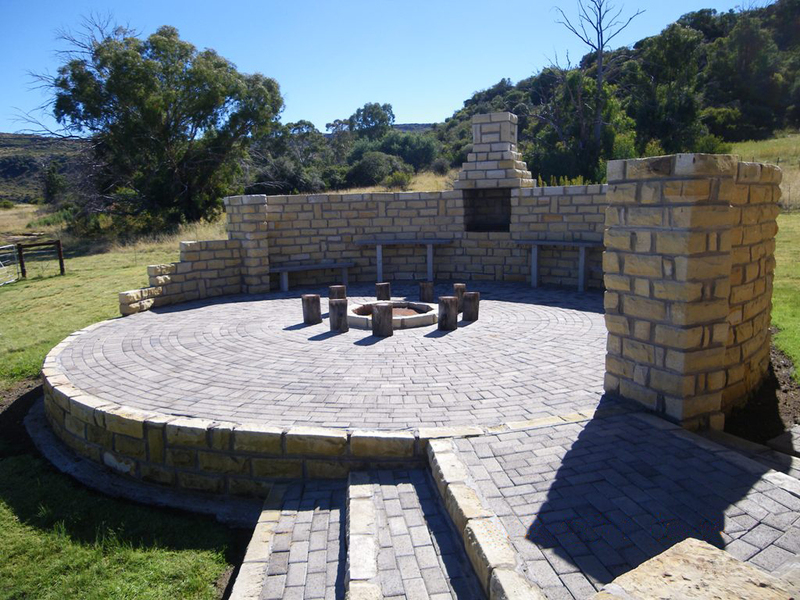 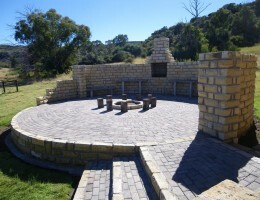 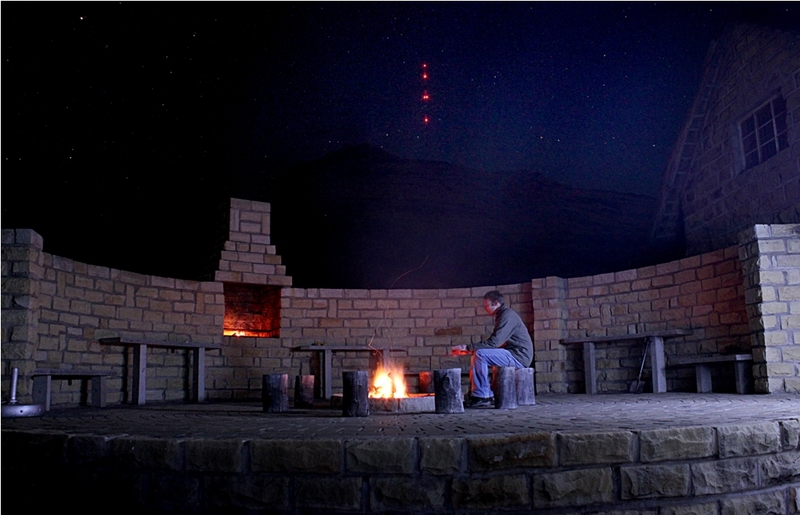 The outside boma is very convenient with a braai and entertainment area, with a beautiful view over the Free State landscape. 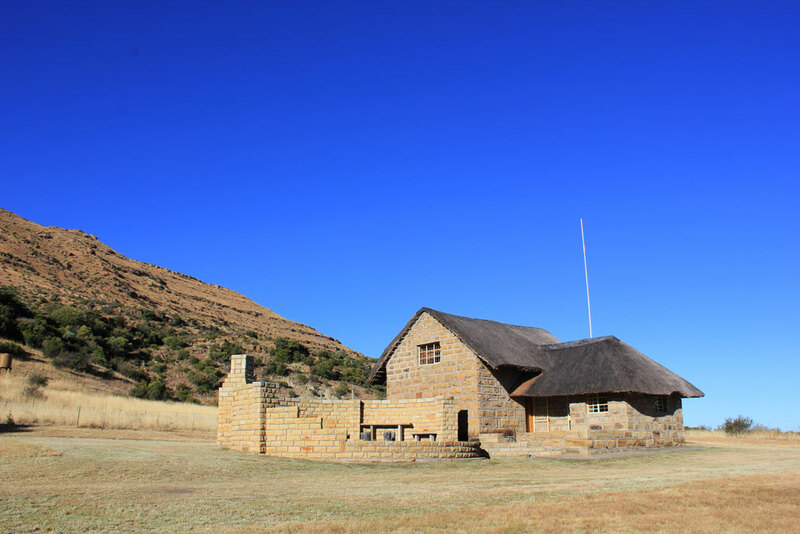 For groups larger than 8, camping will be allowed together with the mountain cottage accommodation at an additional fee of R50 pppn, on the grass around the cottage. 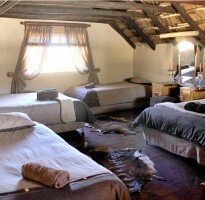 Minimum stay of two nights, bookings are essential.